I have what I call a weather cam which is currently a Logitech pro 9000. This cam is wired and the resolution isn't the best. I want to make the jump to a wireless camera and am just lost when it comes to this stuff. This one can be had for ~$75 which is my limit for this. Wireless of course to connect to my router Linksys WRT54g. All I need it to do is capture a good jpeg image and be saved to my hard drive. My weather station software takes care of the rest including uploading to Wunderground. The more I look the more my head starts spinning. I just need something simple for $75 or less that will capture a decent jpeg image and save it to my hard drive. Just to clarify, are you looking for wireless connectivity with a wired electrical supply? With this be an outdoor or indoor mount? Yes - wireless connectivity and can be plugged into an outlet and will be an indoor mount. I am not familiar with NetCam line, but if that is your price range, then I would say it was a fair deal. 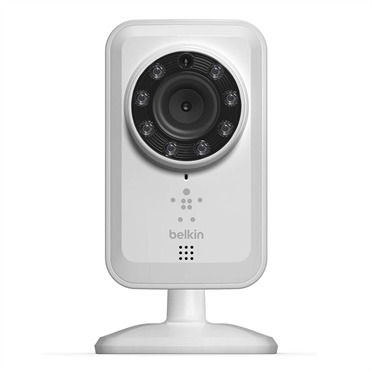 I haven't seen any terrible products from Belkin that were made for moderate home use, so I am wiling to bet this will be no different. All are cheaper than the one you mentioned (when buying from Amazon). Thanks for the help BiggTexx! After doing some more research I see what you mean about the ease of setting up with a smart phone or tablet - which I had to remind myself of - I do have a tablet with WiFi - duh! There are 2 choices with that one - one is day only and one is day/night. Since I don't need to capture any night time images the day time only one would be fine - and quite a bit cheaper at $35. Looks like a winner. Thanks again for your help - I feel more confident now to get that one and try it out. 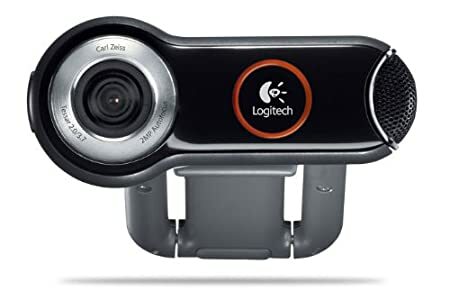 Just out of curiosity, do you know what the resolution is of the current cam, the Logitech Pro 9000? Is that the PC Webcam model? Besides, that webcam has a Carl Zeiss lens system! I'm using my weather software to capture the image, save it, and upload it. Within those controls I have it set at 640x480. The specs I look at for this camera are hard for me to decipher as they show many different video resolutions, but none for still jpeg. When I let the camera and Logitech software grab the still images they are only 320x240. 640x480 is the most I seem to be able to push it. The 640x480 is plenty big enough for what I am using it for anyway. Well you've made me thing some more on this. Right now I have the camera positioned at the extreme of the cable run - to the point the cable is pulling on the camera sometimes. A wireless camera would give me the freedom to put it in just about any window I want, but truth be told, this window has the best view since one can see the river when the foliage isn't so think. And going down in IQ is not what I want to do. Hi Stan. I have one of these running in the front window to know when UPS brings my Pentax goodies, since my home office is detached from the house. Setup was not too difficult, I used the wireless router's auto join function. The web program works fine, but the included app is very clunky so I don't bother with it. If you need to record then the app is supposed to let you do that, so it may be worth taking the time to figure it out. When I need to monitor the front door I just log into the web app, where you setup an account using your email address. The picture is very low res and not the greatest but it does the job for what I need. It also has a microphone but the sound quality is worse than the picture so I keep it low or mute it if it gets annoying. Here is a sample of the display. I'm using my weather software to capture the image, save it, and upload it. Seems to be a bit more complicated than I first thought... What are the settings for image capture? Thanks for the example of the camera shot Larry - that's the same camera I had narrowed it down to. But as you probably read, I might be changing my mind and just keeping what I have for now. I am posting some camera grabs I found below for comparison. I think I have more of a hard time wrapping my head around this stuff than it being that complicated. All I know is now that I have everything set right, it just keeps plugging along - for many years now. As far as the settings for image capture from my weather software, the Logitech software that came with the camera has to be running in the background. On the Logitech software there are no settings at all for changing the resolution. Then in my weather software, there is one entry for "device size" and when I use that I get a 320x240 image. The largest choice is 640x480 which I've been using with success. The images are really not that bad considering your setup. I am not sure you will see much improvement by upgrading to a wireless security camera. You may also consider another USB extension if you need more freedom of movement, but make sure they are high quality cables so you don't increase the image distortion/lag. I agree that I doubt I would see any increase in picture quality with one of the cheaper wireless cams. After our discussion and Larry's help with his example, I've decided to make do with what I have and either reroute the cable a little somehow or try to add a 5' standard USB cable to the run. I'm not sure how long a run I can do without having any problems, but it doesn't cost anything to try. The USB booster cable like I have is said to be able to be daisy chained up to 75' but I'm going to try to get away with the one I have and add another standard cable.